Creative activities, both alone and in a group situations, are beneficial to improving intellectual and cognitive skills in children, especially skills such as problem solving, imagination and critical thinking. We love reading with our children as it is a fantastic creative activity for improving intellectual and cognitive skills as children can let their imaginations run wild and discover their own magical world. Creative activities can also help to develop basic maths and science skills that help with problem solving and concentration. Learning these skills early will help your child transfer them to other areas of their life which will benefit them as they grow older. Creativity and creative play are known to provide a positive outlet to express emotions in an environment children feel comfortable in. Make sure your children have access to creative equipment and materials as often as possible so they can always express themselves. For children, creativity can be a social act, and help them to make new friends and strengthen bonds with existing friends. Singing, dancing and acting can all be group activities that are considered creative. This group work helps children to understand social rules such as co-operation and sharing. Art and crafts group work can provide a safe way for children to socialise with others whilst learning and developing. As well as intellectual, emotional and social benefits – creative play also has significant benefits to children’s physical well-being. 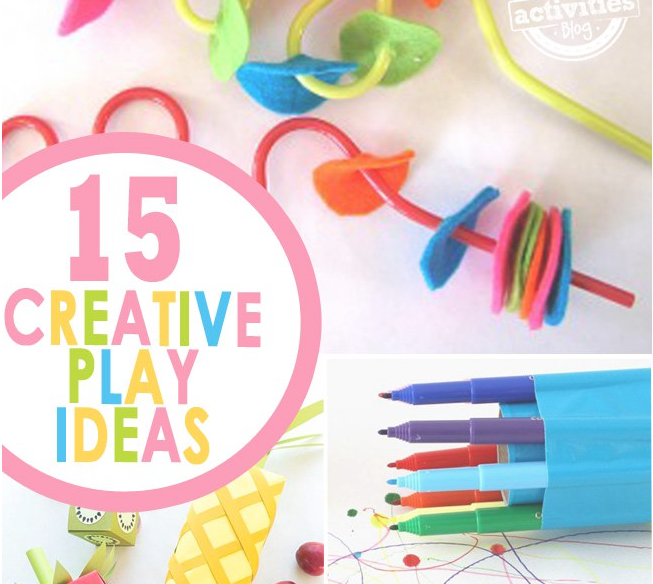 Creative activities such as drawing, cutting, painting and building all help to develop fine motor skills. Developing these motor skills early is essential as it prepares them for writing as they get older. Hand-eye coordination is also developed through creative play which can help in all sorts of situations in later life, such as when they start sports at school. We love these articles that will get the creative juices flowing!